From web appeals and social media, to printed posters and city billboards, publicity plays a key role in the search for a missing person and is one of the services we offer at Missing People. 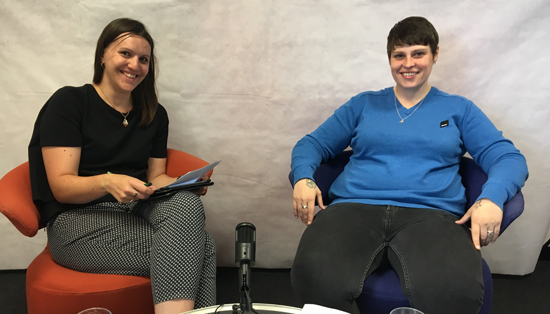 Polly, senior communications manager, and Amy, publicity and casework manager, answered some of your questions about publicity on Facebook Live. Amy: Publicity means the different ways of reaching out to a missing person, to let them know that they’re missing and that someone is missing them, that we want to be in touch with them, that we want to try and support them, and help them reconnect with their families or somewhere that’s safe or talk to the police. Examples of publicity include posters, digital billboards, Facebook, our website, partnerships with printed media such as The Big Issue and The Daily Mirror, and various different companies such as Royal Mail, with whom we have a partnership. How do you make sure the people you are appealing for are missing and it’s safe to appeal for them? Amy: We don’t launch any campaigns without checking with the police that they have an active investigation, which means that someone has been reported missing to the police. We are aware that once you put people’s faces on the internet that it can impact their privacy so we do it with caution. What are the pros and cons of starting my own Facebook / Twitter page to find my missing loved one? Polly: It can be a positive way to feel as if you’re doing something. We get told by a lot of families that they feel like there’s nothing they can do when a loved one goes missing and it is a way to have a sense of agency over something. One thing we know families do is ask a friend or a group of friends to help out to help run that page and to help shoulder the burden of that search. What would you suggest to someone if they don’t want to speak to the media but are being contacted? Polly: You can use Missing People; if we’re appealing for your missing loved one, you can get in touch with the press office or helpline and we’ll be happy to advise you. If you wanted to give us a statement we’ll happily be the point of contact for any media wishing to speak to you. On the Missing People website there are some guidelines for families on working with the media, how to prepare for an interview, and tips and a checklist. My loved one has been missing for a long time, how do I make sure they aren’t forgotten? Amy: We don’t give up, as an organisation. There is no expiration date on when we’ll stop supporting. They’re still your loved one, the need to reach out is still as important as it was 6 months ago, a year ago. 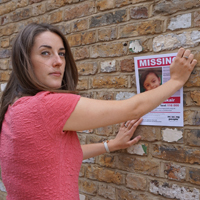 Polly: Our publicity coordinators will often put a post out on social media to mark the birthday of a missing person, or an anniversary of the number of years they’ve been missing for. You’re welcome to contact us to request those. Together to Remember takes place on 14 September and is an annual opportunity for families with missing loved ones to come together physically and also on Facebook and Twitter to remember their missing loved one. What if the publicity make my missing loved one angry or upset, or not want to come back? Amy: You know your loved one better. You know if it would be something that could upset them; perhaps if you know that your loved one is generally quite quiet so seeing their face on a massive billboard is not ok – that’s alright, we won’t do that, because we know it would be too much. How do I tell Missing People I want my missing person to be considered for media opportunities? Polly: Tell us through the helpline. Myself and the communications and helpline teams are pleased to hear from people who want us to do more and we’ll try out hardest to make that happen as soon as possible. I want to do everything I possibly can, but I’ve realised that some things aren’t advisable. Amy: Don’t use your own mobile number or personal email on publicity. Be mindful of what you put out there. The kind of personal information you share about yourself of your missing person. Be aware of the photographs you put out there. Are you doing anything that you know will definitely upset them? If you’re not sure, talk to us about it. Why won’t you feature my reward money on your poster? Amy: We truly believe in equality. If we started featuring rewards from police or families, it would look weighted on behalf of that one family or police force. And that’s not fair, because every person we’re appealing for is some’s someone and they all deserve the same level of attention and help. To speak to the team about publicity, request help with media, talk about the appeal for your missing loved one, or for any other support, please contact our helpline on 116 000.